Its that time again for me… a time full of boxes, bubble wrap and one confused puppy. We are not moving far, but into a place that does not come with its own peeping Tom…. long story. To a place where warm water is the norm and landlords are responsive. The last few days in this place cannot come soon enough. As excited as I am to move, moving also makes me reflective. O the many bottles of wine we’ve had, the serious discussions, the tears, the meals I’ve made, the puppy romance Olive had with little Napoleon across the hall, the many walks exploring the neighborhood. This apartment was a step back. I went from a beautiful building, full of every upgrade, to not even a functioning communal washing machine. Sometimes steps back are needed. It reminds you to appreciate. To be thankful. I learned I am definitely not as grateful as I should be. I did my fair share of complaining when I should have been thankful. My hope for this move is just that. Appreciate. Be thankful. 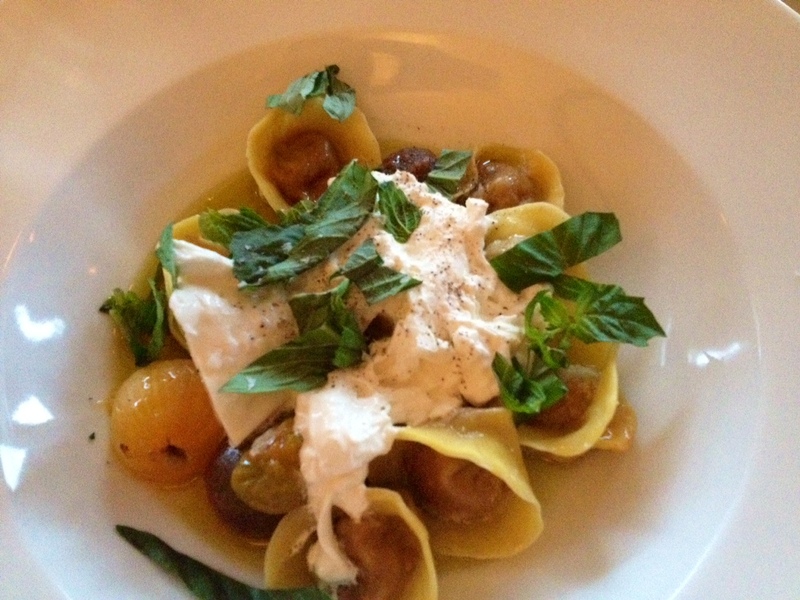 This pasta from Tilia…. heaven in my mouth. The last time I moved was in 2008 when we bought our house. Moving is so stressful! Good luck. Hopefully, your new place will come without the Peeping Tom (yikes!) and you will makes lots of fun, new memories! Oh goodness, I need to get myself to Tilia. Also, I’m not a fan of moving, good luck! I move in a few weeks! I went through a bad situation with roommates (which I alluded to on the blog but never came right out to say!) and am looking to moving into a new, much more positive environment in a few weeks! I’m having so much fun finding thrifty ways to decorate 🙂 Good luck with the move love! I stumbled onto your blog, reading comments from Olives n Wine, wow……funny timing, I just moved—or am still in the process. I haven’t moved in 12 yrs and we bought a townhouse. My apt lease is not up, so I didn’t pack and that was silly. We really like the home but I am a great procrastinator. Every trip to the apt is grab n go……but a horrible way to never end moving. Good Luck to you!